Due to the roundabout reconstruction at Bay Street and St Andrews Street, Brighton (in front of Brighton Pub), buses will be unable to turn left or right onto St Andrews Street as there will be a full road closure to facilitate the roundabout construction. Buses will need to divert via Bay Street, turn left into Male Street, right into Wilson Street, left into St Andrews Street and resume as per normal route. 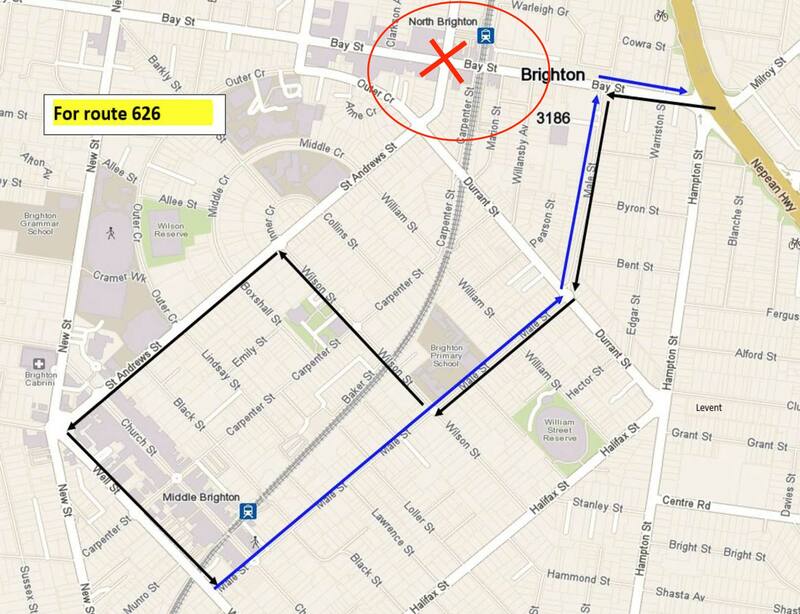 When departing Middle Brighton Station buses will continue along Male Street all the way to Bay Street and then resume as per normal route. We may also experience some delays due to this diversion and thank you for your patience.